This thread (and the 47 that have preceded it) is for all things that relate to Classical Music. Feel free to post what you're listening to, recordings you recommend, recent classical purchases, classical concerts, discuss classical works, classical composers or classical performers. Re: Prokofiev violin concertos and Heifetz. Is this a better pairing? That is a great disc. Currently spinning the best on record of the Variations on a Theme by Hindemith by William Walton. Anyone else agree? George Szell conducting the Cleveland Orch. Haven't done a survey of that work, but Szell and Cleveland are usually a safe bet! Not many which is a shame. It is a work of great brilliance IMO. This is what my 2013-2014 season is looking like. Shostakovich: Excerpts from "Lady Macbeth of Mtsensk"
Berlioz: Suite from "Romeo and Juliet"
Beethoven: Symphony No. 3 in E-flat major, Op.55 "Eroica"
The pairing on that Essential Classics disc is apt. Walton quotes Hindemith's Mathis often in his Hindemith Variations. 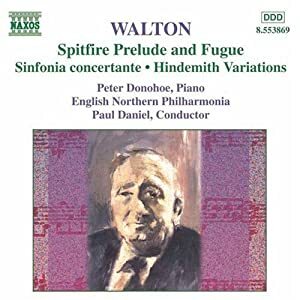 Walton's Sinfonia concertante is brilliant. Scott, that's a great list of concerts. Do you already have tickets? In DC, the only way to get tickets this far in advance is with a subscription and I never like the NSO's subscription options. I have four subscriptions and as a subscriber I can buy extra individual tickets. There are a few Yuja Wang concerts I have not bought the tickets for yet but I do have a connection if worse comes to worse. There are about 6 other concerts I want to go to but will wait until the magic two week period before the concerts to get the tickets on the cheap. Looks like your pianist friend will be busy. Also, the Goldbergs and the Diabellis in the same concert...interesting. That might be one time LvB gets embarrassed. That's one I would NOT miss. One of the most troubling aspects in my life lately is the fact that, even though I cannot tolerate animal cruelty, I am not a vegetarian. To add another layer to my guilt, I have done little to rectify man's insensitivity to the innocent wildlife of the world. Wow, the Goldberg and Diabelli in one evening! That is one marathon recital. If he manages to come back for even one encore after all that then anything is possible - in all seriousness though he probably won't, and shouldn't (though this is coming from someone who isn't much of a fan of encores whatever the programme). I have been to two other Schiff recitals and he did not do encores. Doesn't seem to be his style. Sadly, it now looks like I am going to have to trade this one for other concerts. The shooting dates for a movie I am doing in Panama conflict. 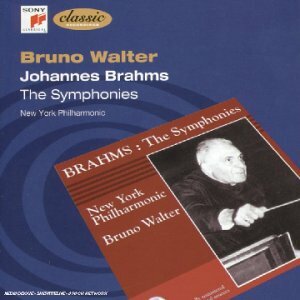 Now listening to one of the items not included in the new SONY Walter box, his mono recordings of the Brahms symphonies. Outer movements are faster than in his stereo recordings of the same works. Did you see his WTC Recitals? He ended each with the C Major Prelude from the other Book. I've been spending a lot of time with Andras over the past few days, listening to his lectures on each of the 32 Beethoven Sonatas. I'm up to the Pathetique. Overall, he offers a very forceful Beethoven, very different from his Bach. On several occasions he describes it as playing with his fists. I'm not sure if it works for me. However, listening to him dissect each work and explain his thinking is fascinating. Hmmm....what would be an appropriate encore for that program? Something light and relatively short as a palate cleanser. Just wondering, why is there only one thread about classical music and why is it primarily about pre-20th century classical music? Wouldn't it be better to have a complete subforum for classical music?